If you’re looking for a provocative read, look no further than H.W. 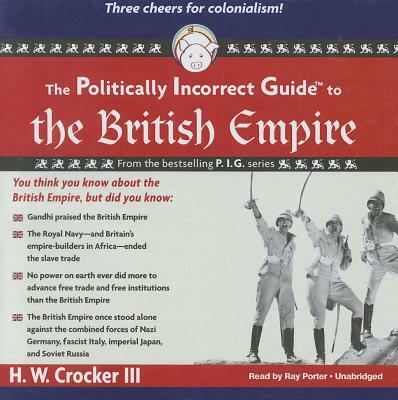 Crocker III’s Politically Incorrect Guide to the British Empire. Here, Crocker takes on the sacred cows of anti-imperialism and anti-colonialism and defends (as an American and a Catholic) the legacy of the British Empire. Our modern world, and America in particular, seems to be extremely hostile towards the idea of empire. America’s story begins with revolution against empire. We love anti-imperial nationalist movies like Braveheart and Gandhi. Our country gets caught in military quagmires when we “meddle” in international affairs (look at Afghanistan and Vietnam). Aren’t FDR, Woodrow Wilson, Dwight Eisenhower, and current presidential candidates like Ron Paul right for trying to keep America isolationist, anti-imperialist, and anti-colonialist? Wrong, declares Crocker. For as he makes clear, the world would not be as humane and just today if not for the British Empire (and her if somewhat unwilling heir, the American Empire). It was the British Empire that spearheaded the death of slavery across the world. It was the British who promoted free markets in the New World and Hong Kong. It was the British Empire that kept Hindus and Muslims from killing each other in India and tribes from warring with each other in Africa. The British abolished widow-burning and child-abandonment. The British brought infrastructure, hospitals, and schools to India while comprising less than 1% of the population. The British stood alone (at one point) against Nazi Germany, Fascist Italy, Soviet Russia, and Imperial Japan. 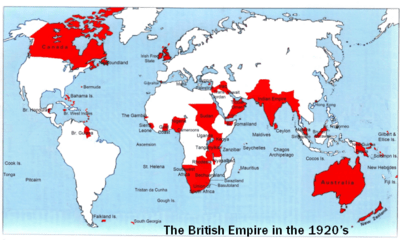 It was the British Empire that introduced ideas of democracy, limited government, and rights to America, Ireland, India, Africa, and Australia. Sure, the British (almost arrogantly) believed in their own superiority, and they therefore sought to spread their civilization and culture to soften the harsh realities of the rest of the world. But for an imperialist power, Britain was remarkably open-minded and lenient: Her colonies could retain their social structures, governments, customs, and language, while gaining all the benefits of British progress and values. 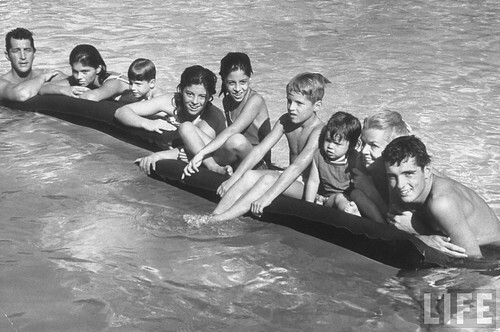 It’s little wonder everyday citizens in Africa and India pined for the British to come back after they left. The British were an inspired people. And that, ultimately, is Crocker’s goal: to inspire his readers with the British example. That is why at its heart, Crocker’s Guide is less of a history than a collection of mini-biographies of some of Britain’s most prominent figures. These great men were extraordinarily diverse: Crocker presents conservatives and liberals, Anglicans and atheists, pure-blood Brits and colonial-bred Aussies and Irish. What ties them all together is their discipline, taste for adventure, brilliance, commitment to empire, and faith in British ideals and values that should be spread to the rest of the world. H.W. Crocker III is quickly becoming my favorite historian for his swashbuckling, page-turning, and occasionally (and unabashedly) politically incorrect narratives of some of the world’s greatest stories. (Check out his histories/biography of the Catholic Church, of the American military, of the Civil war, and of Confederate general Robert E Lee; you’d be doing yourself a favor to check out his comic novel The Old Limey while you’re at it). You won’t be disappointed by his latest installment, The Politically Incorrect Guide to the British Empire, either. Content: Survey of the history of the British Empire. Style: Section for each major region of the Empire (India, Africa, Middle East, Australia, Ireland), each with a short introductory chapter and three illustrious British men representing a region. Readable yet elevated writing style. Catholic? : One might wonder how Crocker, a Catholic convert from Anglicanism, could praise the British Empire, which persecuted famously Catholic countries like Ireland, but he meets these concerns head-on. Moreover, he points out how English ideals are compatible with Catholic teaching.